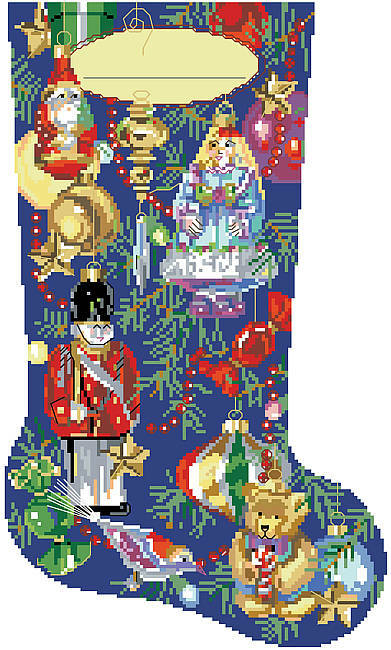 Give your mantel a pop of color with this vibrant ornament stocking. Created with playful designs and lovely accents, this stocking can be personalized with each family member's name. Come Christmas morning, everyone will love to find small surprises hidden inside. Contents: Stitch Count 116w X 196h on 14 ct, finished size 8-1/4" X 14"